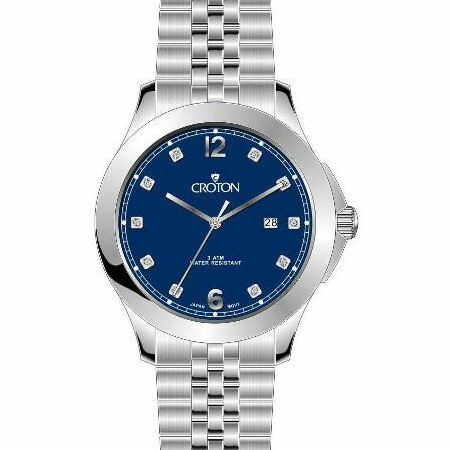 If you are looking for a classic watch with just a bit of pop then this is the watch for you. 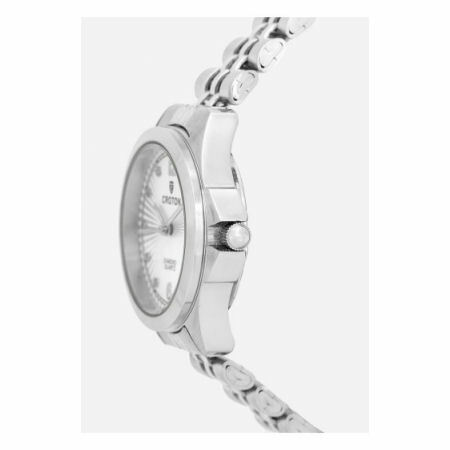 An all stainless steel watch with a patterned dial and 10 diamond markers to give it a little extra zip. This watch also sports a date at 3:00 and luminous hands to help you out in the dark. 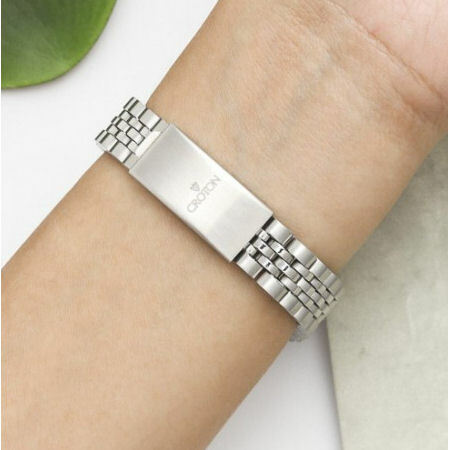 The five link bracelet is classy added touch to round out this watch and the fold over clasp makes for easy putting on and taking off. This watch never goes out of style and goes with everything. What more could you ask for. You can't go wrong with a classic. 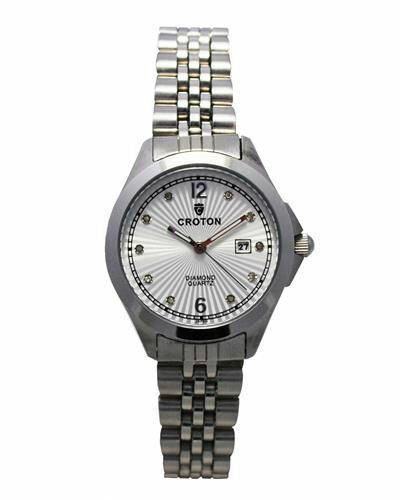 Croton Designer Style all Stainless Steel Watch with White Bezel & 10 Diamond Dial CN207562SSSD (more info) — only 5 left!